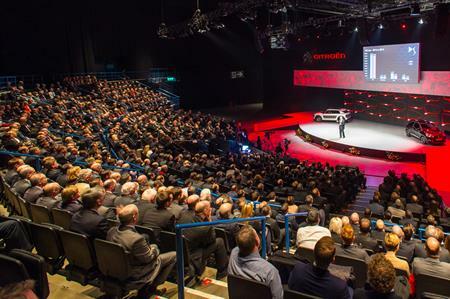 Automotive giant Citroën has re-hired agency Crown to manage the production of its 2016 National Dealer Conference at The ArenaMK, attached to StadiumMK in Milton Keynes. The agency was selected following the success of last year's event, held at Birmingham’s newly redeveloped Barclaycard Arena. In the year of the brand's 60th anniversary, the 2015 conference showcased the automotive brand’s heritage through a show concept. The 2016 conference develops this further with an intimate multi-sensory experience, a unique idea conceived by Crown that won the agency the pitch. Simon Hambley, director of live at Crown, said: "We’re extremely pleased to be working again with Citroën on their National Dealer Conference. We’ve received great feedback from last year’s conference and still continue to do so 12 months down the line, so that’s testimony to the impact our concept has had in delivering Citroën’s objectives, keeping audiences engaged, and retaining key messages."